Clean Air Matters–What are you Breathing? Clean air is something often taken for granted, but in reality it is one of the highest necessities of life. There are many substances that can contaminate air and the most commonly known are pollutants that hurt the ozone. A lesser recognized substance that creates dirty air is mold. Mold is a living organism that naturally occurs and breaks down dead materials in order to return those nutrients back to the environment. Mold releases spores that travel through the air in order to spread and continue its busy work of breaking down plant and animal matter. It is an incremental part of the outdoors–BUT when it grows indoors is when it becomes an issue. When mold builds up in dangerous quantities indoors, people can experience mold allergies with symptoms including sneezing, congestion, runny nose, rashes or hives, itchiness, and watery eyes. Severe reactions to mold include allergic reactions, asthma, other respiratory conditions, and other physical ailments can be associated with exposure to mold. Not all molds are toxic–only the ones that produce toxins or poisons during their growth are considered toxic molds. There are 5 categories of toxic mold, which are those that are considered to be dangerous to humans. Stachbotrys‘ toxins have been linked to allergic reactions as minor as hay fever to as drastic as liver damage, and most severe being brain or nerve damage. Those with compromised immune systems are especially vulnerable. Cladosporium, Fusarium, and Penicillium are mold families that can be associated to illnesses like asthmas, nail fungi, and infections to the liver, lungs and kidneys. Also, gastrointestinal illnesses and those that affect the female reproductive system can be created by Fusarium. 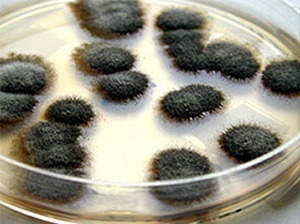 Cladosporium can cause emphysema and pulmonary edema in extreme instances. Aspergillius is the lesser of the mold groups in toxicity and this family consists of over 160 species, of which 16 cause illness (that is treatable) in humans. If you find yourself in a situation with mold, call a professional. There is a high level of risk associated with not remediating mold when it is discovered. Generally speaking, mold begins to grow within 24 to 48 hours of a water loss. Royal Plus, Inc. has trained personnel prepared to respond to any size water loss and remediate mold as well as offer any other additional necessary services to ensure a thorough clean up and turn life back on for our customers. We are situated in key office locations on the east coast including the Eastern Shore of Delaware and Maryland as well as the inland Baltimore area. Also we have office locations with personnel prepared to offer 24/7 emergency response from Jacksonville, Orlando, and Key West Florida.